Would you like to be more inspired at work? Are you willing to do something for it? Then this book is for you. With 66 ideas and 15 case studies of innovative companies from Switzerland, Germany, Denmark and the United States, this book shows its readers how to successfully increase the level of inspiration, engagement and innovation at work. Analog to a cookbook, the authors showcase their ideas in form of “recipes” by including sections such as ingredients, preparation steps, objectives and extra tips. To further substantiate these recipes, the authors have also included 15 case studies about companies that have already successfully implemented some of the ideas. This book not only inspires entrepreneurs, managers and team leaders to do something special for their employees,it provide 66 calls to action for how to make it happen. 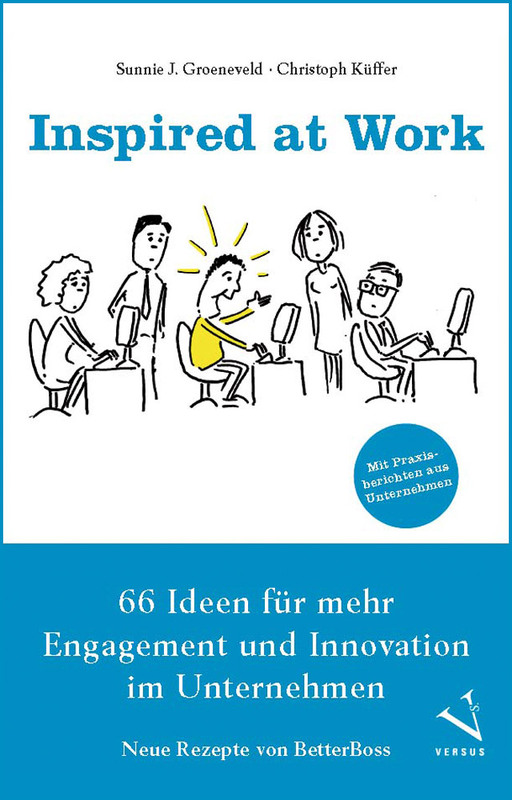 Please note that “Inspired at Work” is currently only available in the German language. An English version will become available in 2015/16.